Triumph had immediate success with the Tiger 800. Although larger-capacity adventure machines are often the models that riders aspire to, the Tiger proves that size isn’t everything, and it’s only now that other manufacturers are jumping on the bandwagon and creating smaller, more manageable versions of their top-spec dual-sport machines. "Triumph’s middleweight triple was already a gem, both in Daytona 675 and Street Triple guise. 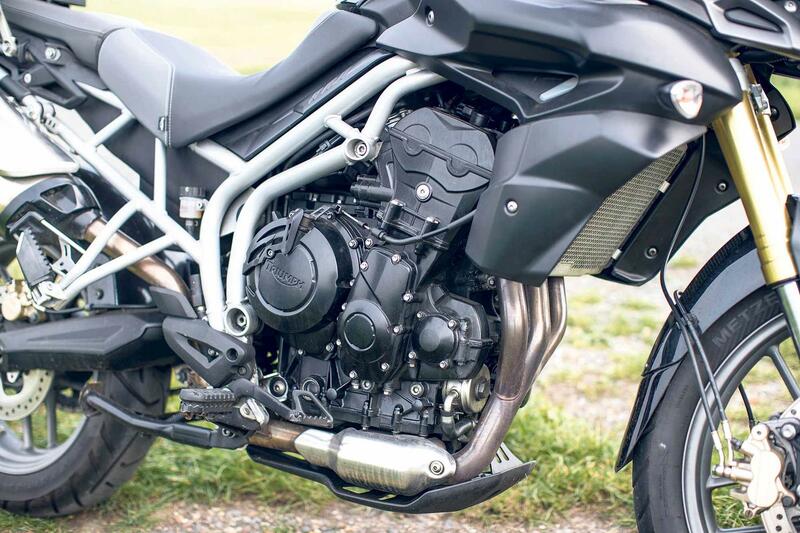 But, with the stroke lengthened to take it up to 799cc, the Tiger 800’s power plant has been transformed into an easy, seamless, idiot-proof jewel. And that, combined with the light clutch, slick gearbox and impeccable throttle response, makes the Tiger 800 a doddle to ride." MCN launch report, November 2010. What is the Tiger like to ride now? Powered by a stroked version of the popular Street Triple 675 engine, the 799cc Tiger has charm by the bucket load, as well as decent build quality and some nice design touches. This 14,000-mile example shows how good the finish of the early 800 Tigers is. The black coated engine and swingarm show little or no signs of corrosion and the same can be said of the wheels and frame. This can also be attributed to good maintenance and the cleaning regime of past owners. In spite of its mileage, the ride quality and steering response is still as it would have been when new back in 2011. The adjustable forks and rear shock have an excellent range of travel, and the damping capabilities have not diminished over time. The ride has a quality feel about it, and the Metzeler Tourance tyres and 19in front complement the handling with all-round stability and grip. 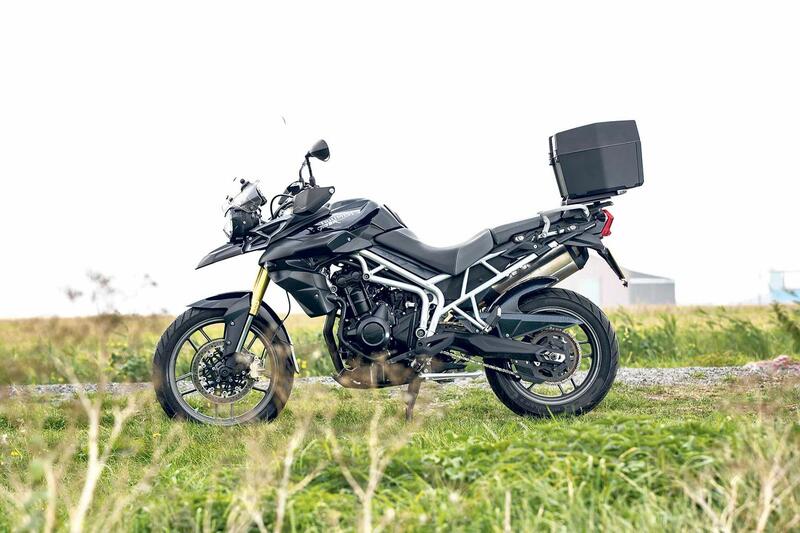 Not only is the Tiger comfortable, thanks to a level of adjustability in its seat, and a cinch to ride, but it’s also capable of taking you and your pillion many miles in one hit, thanks to its 19-litre tank. What goes wrong on a Tiger 800? 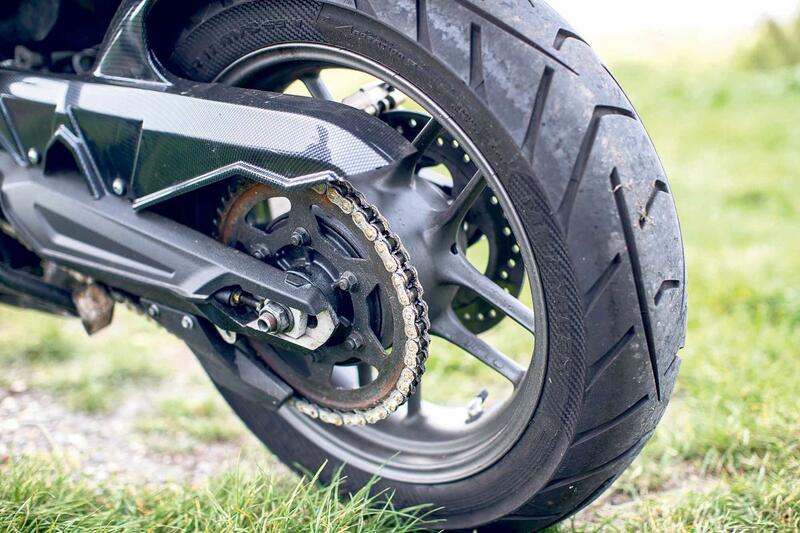 For some reason Tigers eat the rubberised plastic chain runner that guards the swingarm and damps out chain noise when riding off-road. Whereas owners of most other model machines hardly give this item a second thought, Tiger 800 owners will be looking at replacing this small but important part regularly – Triumph recommend every 6000 miles. It is a simple task and the rubbing strip costs around £25, if you reuse the two rubber damping elements. The only recall issues came from the return spring on the optional centre stand fitted to Tiger 800s and XC models during 2011 and early 2012. It was at risk of failure, so this part was recalled and the spring was upgraded. At the same time, Triumph fitted the centrestand’s feet with tougher rubber boots to prevent it damaging the underside of the swingarm when stowed. 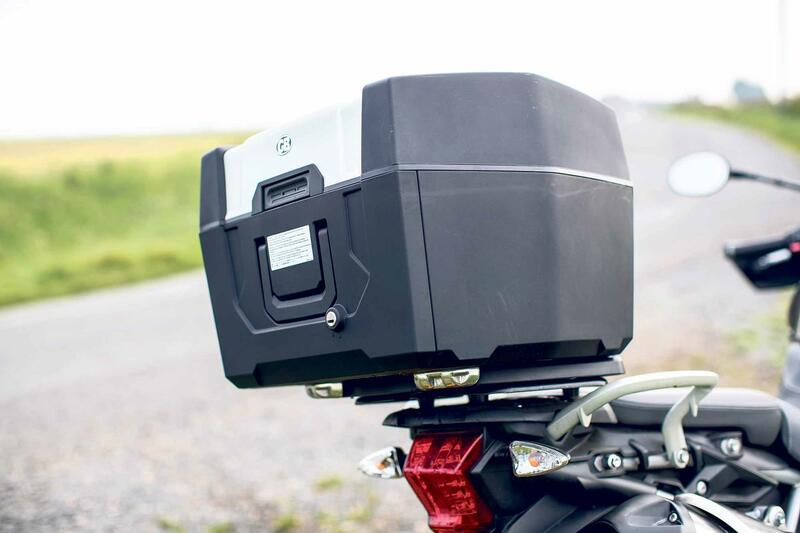 Tigers built between September 2010 and August 2011 were recalled for an ECU software upgrade to prevent a fault which potentially caused the bike to stall under deceleration. Should I buy a Triumph Tiger 800? Ideally go for a main dealer-serviced bike with full history, and with low mileage. Prices start from just under £4500 for the 2011 bikes to £10,000 for a late registered example. 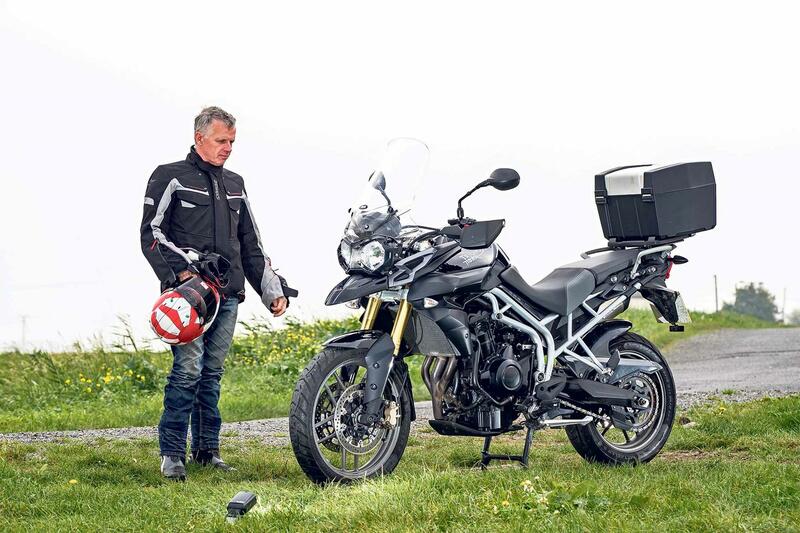 "The Tiger 800 is a good all-round bike, and it hasn’t had any major problems. It’s a bike that we as a dealership and Triumph have had a lot of success with, so much so that the current range has now expanded to six variants. "The popularity of the bike in the secondhand market is strong, and obviously bikes with lower mileages, full service history and a good range of accessories fitted command higher values. "Our customers find that fitting a slightly wider tyre on the front improves the feel, and many of them opt for the Michelin Pilot Road 4 Trails. 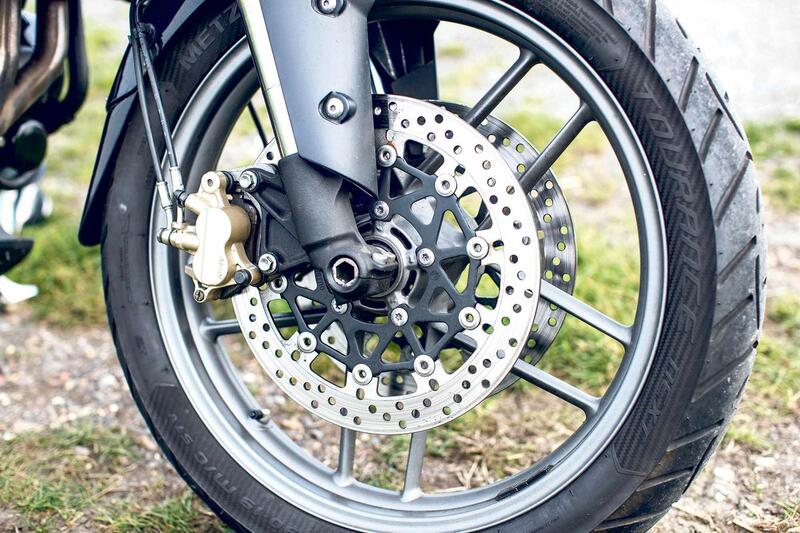 Michelin’s slightly wider profile has proved popular and all the feedback from customers has suggested that the bike handles a lot better when using this tyre. "In terms of servicing, the Tiger needs looking at every 6000 miles or annually. The work involved in the 12,000-mile service is similar to the 6000-miler, but with less cleaning of the throttle bodies. "Wear and tear is generally good too, and typically we see things like chains and sprockets lasting 15,000 miles, but it does vary on how the individual owner looks after the adjustment and lubrication. 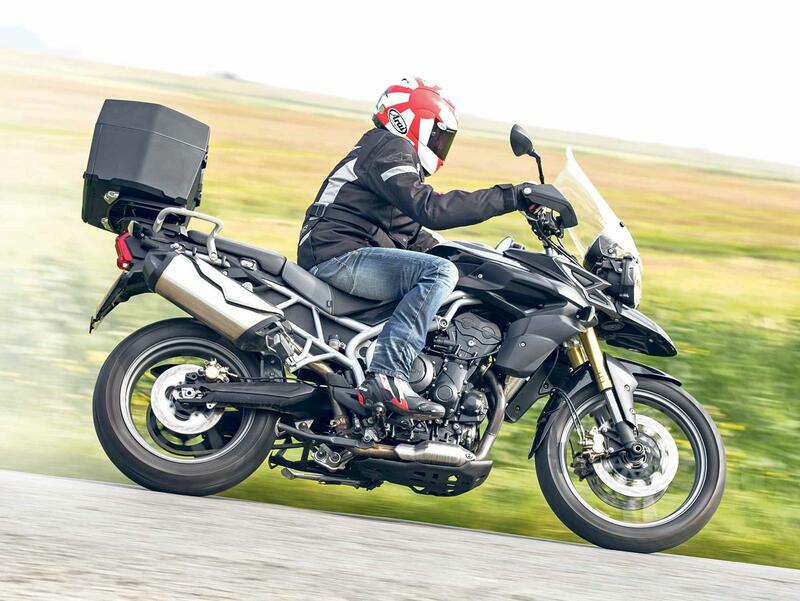 "We often see bikes fully kitted out for touring, with panniers, topbox, and a tankbag. They’re popular in this role because of their size, so riders feel more confident loading them up with luggage and pillion knowing that the all-up weight isn’t quite as much as it would be with a larger machine. "These bikes are in some ways better than say the big 1200 Explorer [of the time], that might be a bit too big for town riding or tight roads. The 800 proves that its size makes it manageable for both town and distance, and that’s the key to its popularity."